In the largest study of twins in schizophrenia research to date, researchers at the University of Copenhagen, Denmark, estimate that as much as 79% of schizophrenia risk may be explained by genetic factors. The estimate indicates that genetics have a substantial influence on risk for the disorder. Published in Biological Psychiatry, the study used a new statistical approach to address one of the factors that contributes to inconsistencies across previous studies — usually studies of heritability require that people be classified as either having schizophrenia or not, but some people at risk could still develop the disease after the study ends. Drs. Hilker, Helenius and colleagues applied a new method to take this problem into account, making the current estimates likely the most accurate to date. “The new estimate of heritability of schizophrenia, 79%, is very close to the high end of prior estimates of its heritability,” said Dr. John Krystal, Editor of Biological Psychiatry, referring to previous estimates that have varied between 50% and 80%. “It supports the intensive efforts in place to try to identify the genes contributing to the risk for developing schizophrenia,” said Dr. Krystal, which have been built on the idea that schizophrenia is highly heritable based on the findings of generations of twin studies. The study took advantage of the nationwide Danish Twin Register — a record of all twins born in Denmark since 1870–coupled with information from the Danish Psychiatric Central Research Register, to assess genetic liability in over 30,000 pairs of twins. Dr. Hilker explained, “This study is now the most comprehensive and thorough estimate of the heritability of schizophrenia and its diagnostic diversity. 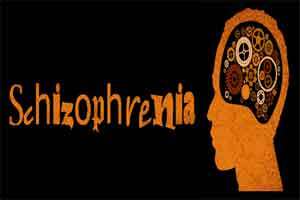 It is interesting since it indicates that the genetic risk for disease seems to be of almost equal importance across the spectrum of schizophrenia,” even though the clinical presentation may range from severe symptoms with lifelong disability to more subtle and transient symptoms. “Hence, genetic risk seems not restricted to a narrow illness definition, but instead includes a broader diagnostic profile,” she added.